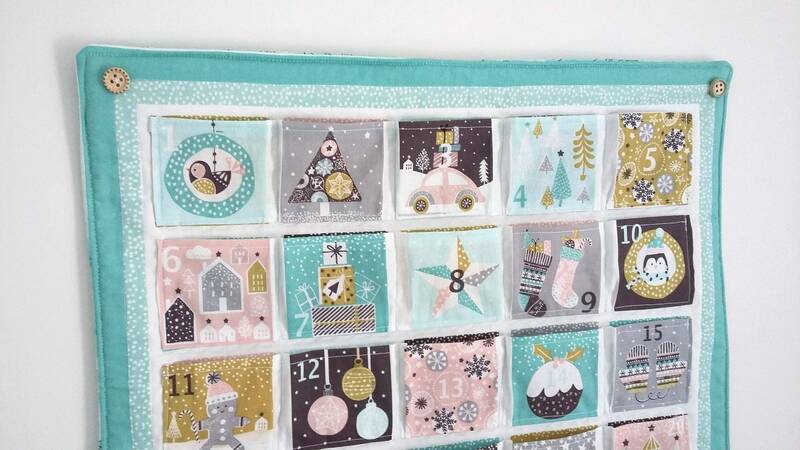 Start a new tradition for your family this Christmas with this charming quilted advent calendar, the perfect family heirloom piece to enjoy for years to come! 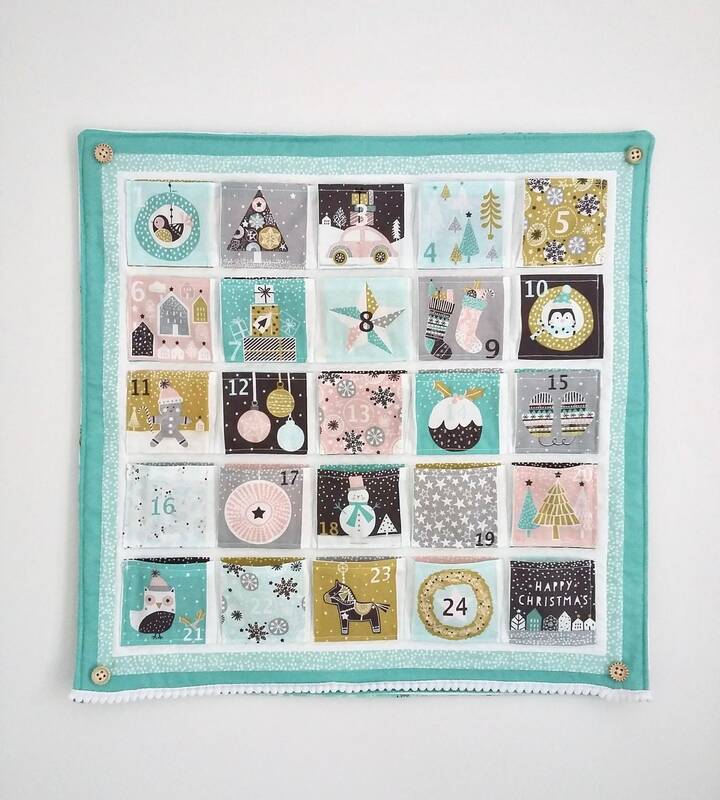 The calendar has a Scandinavian feel with a lighter colour palette of mint green, teal, mustard, charcoal grey, light grey and blush pink. 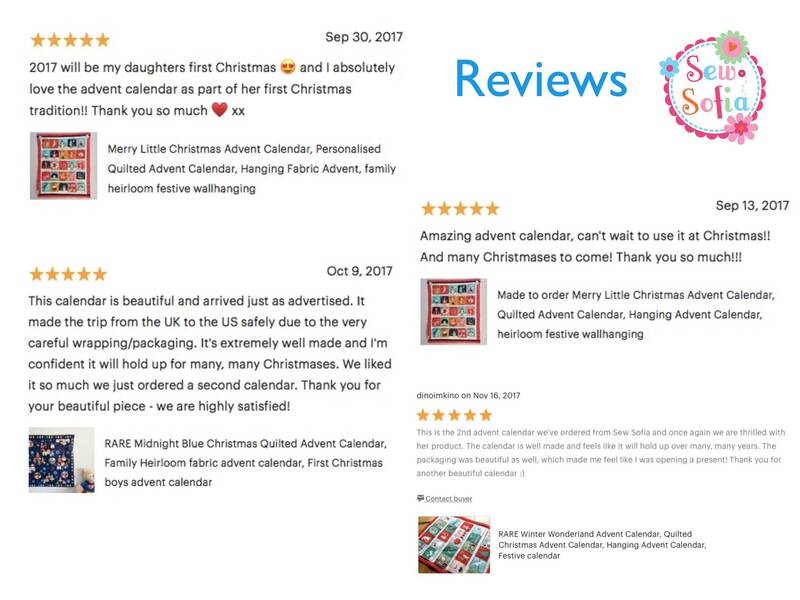 The pockets feature traditional Christmas favourites like fir trees, wreaths, stars, mittens, stockings, snowman, Christmas pudding, gingerbread man, along with cute animal characters, a car carrying presents home and a little Scandi horse. The pockets run in numerical order from 1-24 and are pleated so can expand to hold more treasures for little and big people! Fill them with sweets, chocolates, little toys, crafts, baking ingredients, family treats like cinema tickets or a day trip even! The calendar is lightly padded with a layer of high quality wadding and woven cotton interfacing for added strength. 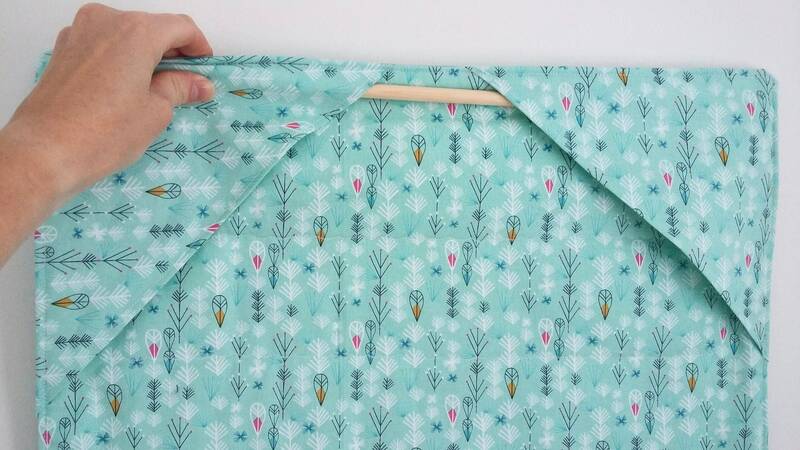 It is backed in a coordinating festive print which you can choose at the checkout. There are two triangular pockets at the top of the calendar for the dowelling. To make it extra special, I have finished off the calendar with decorative scallops in white thread beneath the pockets and added a trimming of white pompoms along the bottom with pretty painted wooden buttons in each corner. 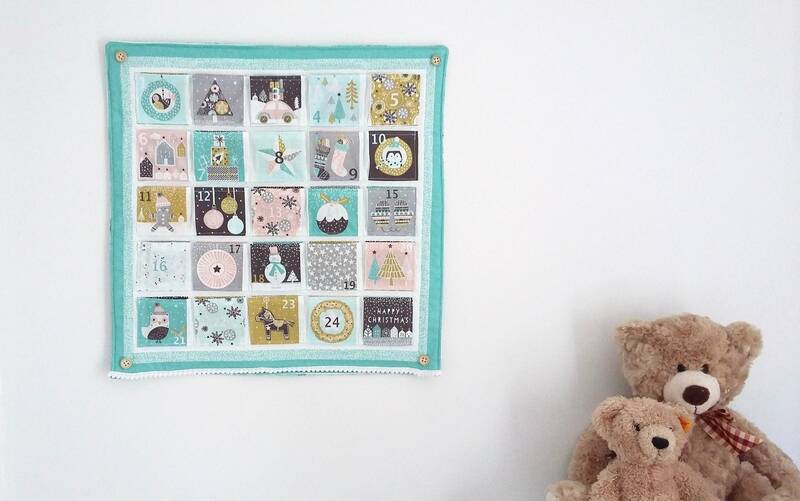 The dowelling is also included in the price so that you can hang the calendar straight away. A truly special item to add a festive touch and warm memories to your home. 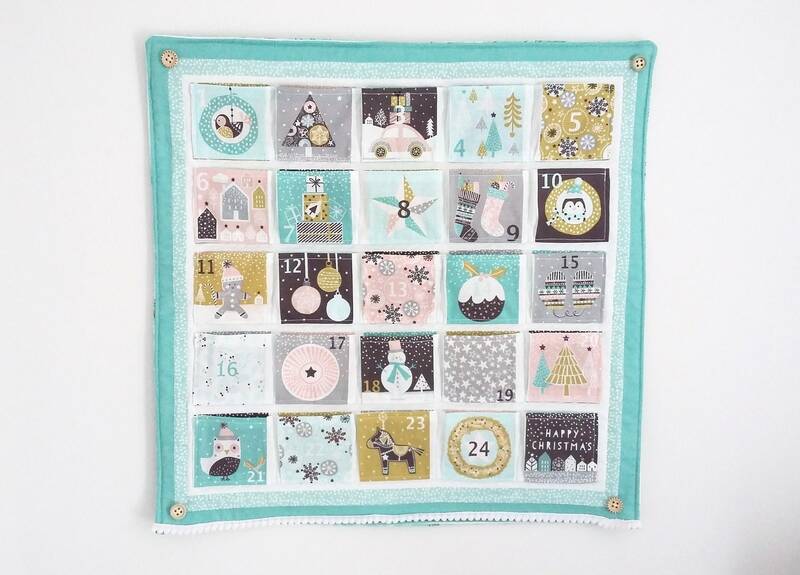 This is a square calendar, measuring 18" (46cm) w x 18" (46cm) h; Pockets measure 3" x 2.75" (7.5cm x 6.5cm). Want to make it extra special with a name or family name? As this is a made-to-order seasonal item, please expect 3-4 weeks delivery from point of your order. Postage is by 2nd class tracked postage in the UK or tracked international shipping. 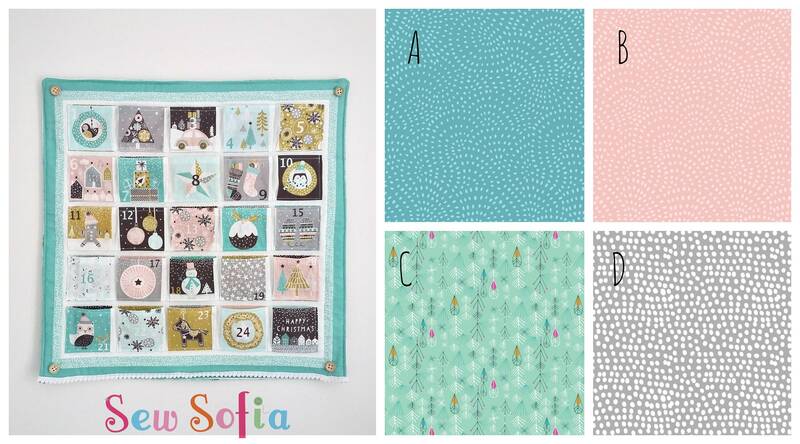 The fact that this is the 3rd calendar we've ordered from SewSofia says a lot about the quality of these products. 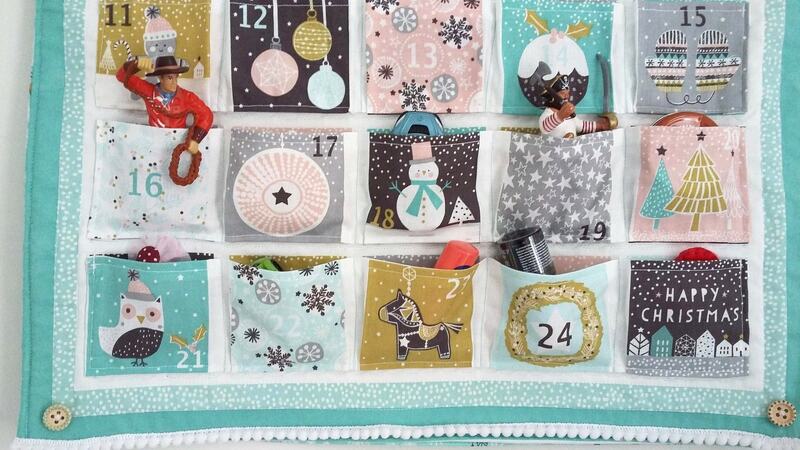 This calendar was just as well made and beautiful as the other two (LOVE the colors and the whimsical fabrics). The pockets are just the right size to hide the small treasures that delight children throughout December. We order from the US and the packages are always lovingly wrapped and packaged such that they arrive safely on our doorstep. These calendars are family keepsakes that we will use for years to come. Thank you for sharing your incredible talents with us!